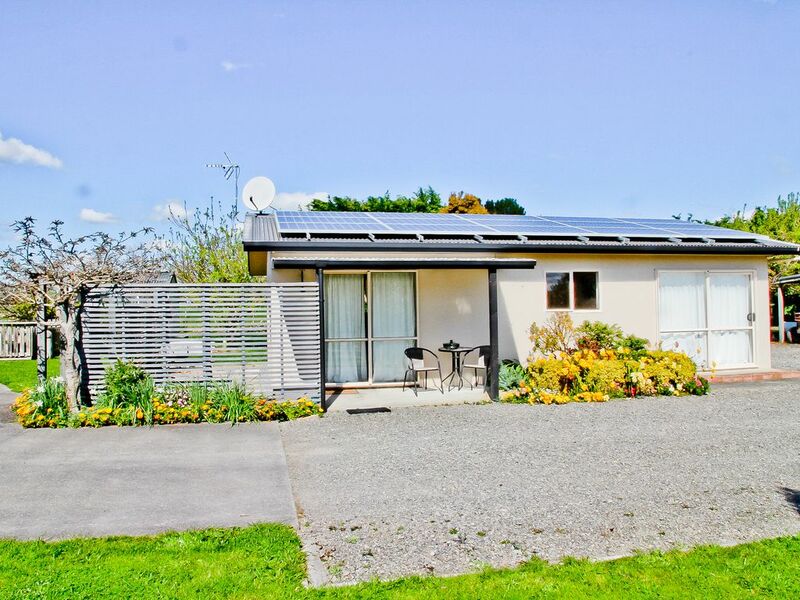 Enjoy a peaceful stay in the country surrounded by farmland and vineyards with all the amenities of Martinborough Village only 4 kms away. Plenty of all season activities in close proximity including wine tasting, walking tracks and coastal attractions such as Cape Palliser lighthouse, Ngawi fishing village and the seal colony, Castle point and Riversdale is a nice day trip. So many more activities to do in the Wairarapa. Walk through the Olive Grove, we have plenty of space to run around. If only booking one night a surcharge of $25 will be added. Martinborough's wine producing region has grown significantly over the past few years. With a love for hospitality and meeting people from all walks of life we have been searching for a lifestyle property that will allow us to enjoy this beautiful part of the country. Olea is the Latin name for Olive. The previous owners have lovingly developed an amazing retreat set amongst 600 Olive trees, neighbouring vineyards and beautiful rich green fields. Koroneiki is one of the five varieties of olive in our grove. Stay at Koroneiki Cottage and I am certain that you'll see why we feel in love with this unique site. Friendly welcoming hosts. We enjoy meeting people from all walks of life and sharing our lifestyle with them. Great property, was beautiful setting amongst the olive trees. The bikes were fantastic we loved the tandem. The hosts were easily contactable and flexible which was much appreciated! Having dog poo outside front door was a bit nasty! Sharing the room with a large cockroach was also a bit nasty but both these things r nature I guess and can’t be helped. Peaceful, quiet setting for a great few days away. Cottage is well appointed, cosy and clean. A fabulous time had by all thanks. Lovely little cottage, well equipped. Great situation, easy to get to all Wairarapa destinations. Beautiful quiet setting. Very pleasant host. Lovely quiet spot - perfect little getaway. We had a lovely stay at Tim’s Place. It is quiet, set amongst the olive trees but just a couple of minutes to Martinborough township. Tim made us feel very welcome and the house has everything you need.